Kenan Thompson is the longest-serving cast member in Saturday Night Live history, having appeared in 15 seasons of the sketch comedy juggernaut, with the latest season being his 16th. It has been announced that Thompson is getting his own show on NBC, entitled Saving Larry. The sitcom is produced by SNL creator Lorne Michaels. The news brings speculation that Thompson is looking to exit his Saturday night gig, but sources maintain that there have been no official talks about leaving just yet. 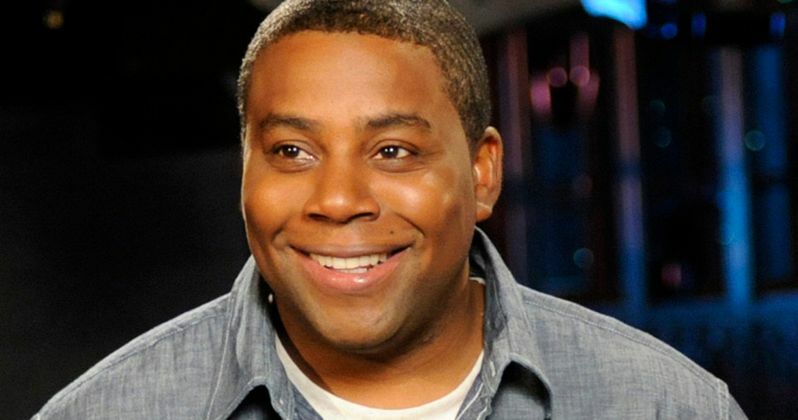 Saving Larry is set to star Kenan Thompson as a father who is left to parent his kids after the death of his wife. The character's father-in-law comes to help out around the house, which may or may not be a welcome addition. The show has yet to get picked up to pilot, meaning that the series has not been ordered at this time. However, if NBC decides to pick up Saving Larry, Thompson will be pretty busy, which could make doing Saturday Night Live difficult. Kenan Thompson has stated that he would like to stay on Saturday Night Live "forever." The actor has talked about leaving the show before and states that he "fears" the thought of leaving the special environment. With that being said, Thompson recently admitted that this last season was the first time that he felt that he could see himself leaving and giving other cast members more time to shine. Andy Samberg left SNL when he started with Brooklyn Nine-Nine and Bobby Moynihan also left when he started up with Me, Myself and I.
Kenan Thompson has been attached to several sitcoms over the years, but none of them have been picked up. After 15 seasons on Saturday Night Live, Thompson just won a Music and Lyrics Emmy Award for SNL's "Come Back Barack" song that he co-wrote with Chris Redd, Will Stephen, and Eli Brueggemann. The Emmy win could be the extra push that Thompson needs to get Saving Larry picked up at NBC. Even so, the comedian could choose to stay on SNL part time while juggling his own sitcom. Saturday Night Live Season 44 premieres September 29th with Adam Driver returning to host and musical guest Kanye West. NBC orders their pilots in May, so we'll find out relatively soon if Kenan Thompson's Saving Larry gets the green light from the network. Thompson started with SNL in 2003 and was the youngest cast member to join at that point. After Season 44 of the sketch comedy series ends, Thompson could be finished with the show, leaving after a record-breaking 16 seasons. Again, this is not official at this time. Thompson will definitely be starring in the upcoming SNL season, giving fans some more Steve Harvey, Al Sharpton, and Bill Cosby impressions. The Hollywood Reporter was the first to announce the Kenan Thompson sitcom news}.